@snufkin wrote: @Kessel - they're the Beautiful Friendship Gang! Like notice how they don't seem to have Han and Leia in one of these shorts? Because those two are for more mature audiences, same goes for all of the interaction Rey and Kylo have with each other. They might each get refereed to as One Boy and What Girl, but they're together they're not kids. I don't know how this can revive Finnrey zeal. I know they are desperate but...If anything, it's going to reinforce that they are just friends. Also, they are pure kiddie cartoon material, not a big screen one. So their fans will have kiddie cartoon to quench their thirst while FinnRose will dominate the big screen. This episode was the cutest. I like these FoD and there's a theme; they portray the main character as compassionate, brave, resourceful and helpful. It's nice to see. Btw, are they on Jedha in Jyn's short? That short isn't going to do any favors to the "The Empire had its good points" crowd, pretty hard to defend trying to separate a little girl from her space cat. @Kessel - there's a couple suggestions in the comments about which planet it may be set on. ETA - last one up. So far Leia's gotten the lioness' share of appearances. FOD Chewie is looking a bit more like Chewie and less like The Six Million Dollar Man Bigfoot. Wicket is flocked, which is really nice. Loving the accessory for Ahsoka. Toys and Apparel Now Available! I just came across the Jyn doll on the French amazon. She is so cute. And then I saw that they also have Leia in 2 versions and Rey in 2 versions. The price ranges from 30 EUR (TFA light Rey) to 50 EUR (Leia with Ewok). My credit card is trembling right now. The german Amazon does not have any of the dolls. I feel like a child now, I want a doll. I don't like Jyn as a character, but that doll is gorgeous. I first thought it was a new Lara Croft. And the freckles on Rey's face are also adorable. 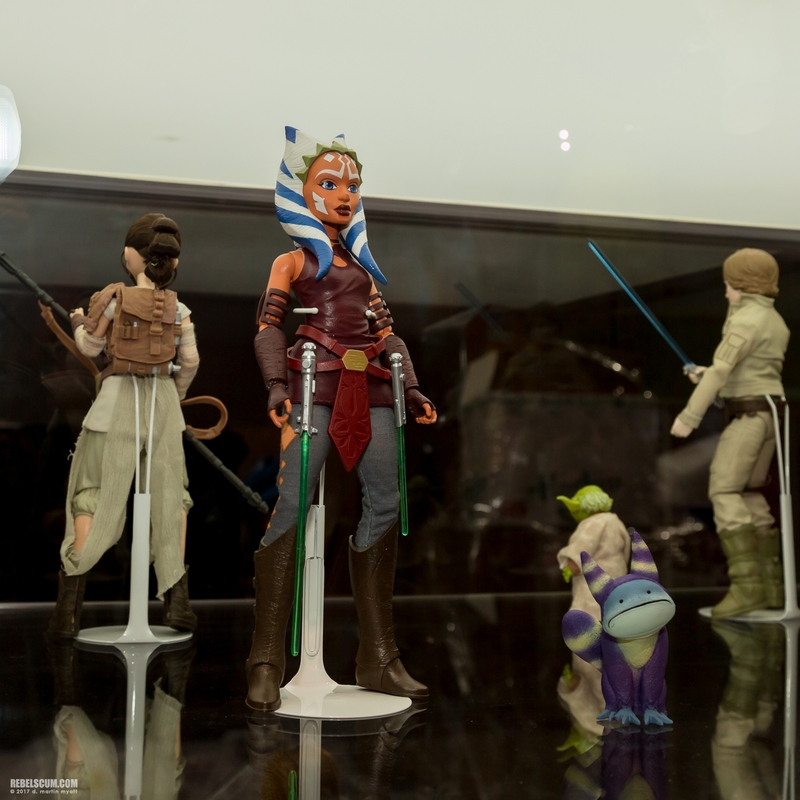 There seems to be dolls for Sabine and Ahsoka too somewhere. What is kind of annoying me is that the Disney online store does not have them. At least the German one. Honestly, you want to make more bucks, you gotta start working on making your merchandize available in a maximum of countries. 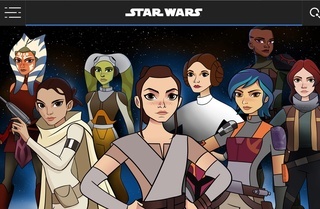 I am still a bit annoyed that Hera is not included. She deserves to be part of it. There is barely any figure of Hera anywhere. At the SWC I asked about Hera figures and most people were dumbfounded. I found one Funko on Amazon which I bought and a very ugly small one which does not look like her at all and I did not buy. I WANT my twi'lek doll. No!!! Only the Jyn doll is available. The Leias and Reys are out of stock. And they don't ship to Germany. Should I order and have it sent to my parents? I want the Rey with BB8! I know. Me too. I want Jyn, Leia with R2-D2 and Rey with BB-8. Since only Jyn is available, I went ahead and ordered it to be delivered to my parents since Amazon FR refuses to ship that one to me in Germany. My very lame excuse is that I also ordered the book Bloodline in French for my mom's birthday in 2 weeks. And well, if I am broke one day, I can sell it. Now I have to tell my mom that she will get a package but should not open it. The book will be wrapped, but I can see my Dad laugh his heads off if he sees a doll. And just to add to the craziness, I also bought a Funko Leia with the cinnamon buns. I've been wanting to buy that one for months but after Carrie's death, the prices sky-rocketted. Now they're back to a normal level. A bit sad in a way. After that, I am done. No more figures or dolls until a nice scarred Kylo shows up. I want to get some stuff for my desk. Figures or dolls, but will probably go with Funko Rey and Kylo at some point Can't make up my mind! I love that Jyn too, and the Leia with R2 is love! I saw a preview of a Padme one on Tumblr a while back. Wonder when that one's coming out? My Jyn doll arrived in France. Unfortunately, I am not going to France any time soon so it's staying at my parents for now. My Mom says it looks good. Even my Dad found it interesting, probably wondering if his daughter has not regressed to childhood... Out of curiosity I checked Amazon FR and the page is gone so even Jyn is not available anymore. Well, Target has them and apparently ships to various countries in the world for those interested. As expected the shipping costs more than the doll. 25 EUR againt 22 EUR. I really like Rey with the grey vest and BB-8. I'll wait. If after Force Friday I do not find certain things like the Hera Black Series, I might then order 3-4 figures so that it's worth it. Maybe. Funko Kylo and Funko Rey are cool. I have the unmasked Kylo and Rey with the blue lightsaber and they are cute together. I'm the biggest fan, so this was just a dream come true. Particularly, I'm an original trilogy fan the most, so to do a scene [that takes place during Return of the Jedi] was thrilling, to say the least. Absolutely, it was amazing to do that, to do a story at the Rebel base literally before Empire Strikes Back begins — it's almost a deleted scene, or a homage to that movie. It came about wanting to tell small moments, and thinking, where would it make sense to have these small moments? For Leia, it was nice to have the original trilogy to play with in there, to bring the Ewoks back, which is so great! As a fan of the franchise, what has it been like having Daisy Ridley and Felicity Jones voice their characters for the series? I feel as if, for many fans, it's added some credibility and legitimacy to the project. It was thrilling that they wanted to be involved, and Lupita as well. It was so nice to have them with the TV actors and the voice actors — it brings the worlds together in a way I didn't expect. It gives it more legitimacy, but beyond it being legitimate, it's just wonderful for people who weren't paying attention to go, "Oh, that's surprising that [the movie cast] is doing that," and it brings more attention to what we're trying to accomplish. It was nice to have them in the mix. I don't know if all of this was mentioned already because the news is old, but I missed it. So Hera is planned in the fall episodes, it seems, and will meet Han. Two ace pilots meeting could be interesting! The meeting is on Endor during Return of the Jedi and Leia is also in it. So can I expect a doll too? She is in the promo image and Ketsu too. 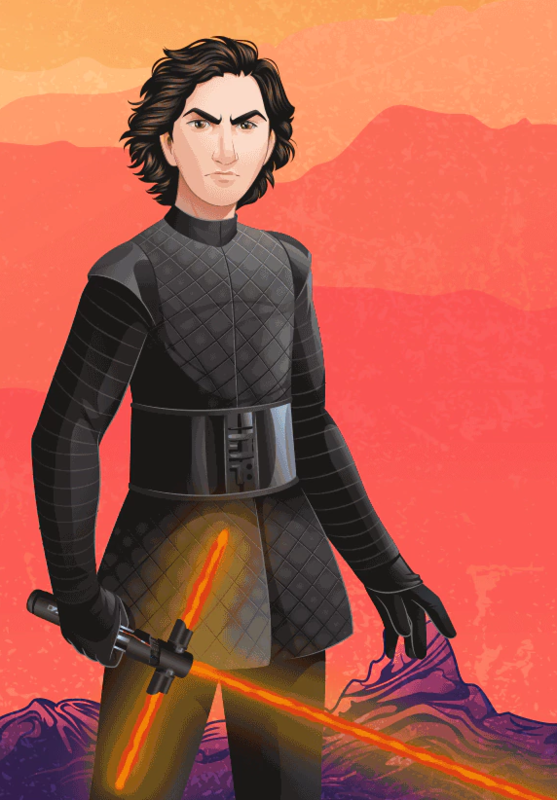 A Kylo doll is also planned. That news dates back to April. How did I miss it? So in theory he should be in an episode. I hope not in the Rey/Finn as the villain of the episode, but another separate story - one can dream. I read somewhere that male characters will be added to the doll collection so I suppose we can expect Anakin, Han and Finn too. I am curious to see what Kylo will look like. I hope he will have the helmet as an option only. Would not make sense to me for this type of dolls if he was only available with the mask. @SanghaRen wrote: I don't know if all of this was mentioned already because the news is old, but I missed it. I'm calling it now. The new Rey episode will be non-spoiler-ific but will be set on Ahch-To and will involve Porgs. Can we get a Phasma one, please??? ROFL! I was just going to post the same thing! The porgs have caused a storm in the fandom with how cute they are. LF would be mad not to take advantage of having Rey go on a little mini adventure with them in FOD. Um, wow. And that also appears to be the first official anything for TLJ to place Rey and Kylo in the same setting. @ISeeAnIsland Yes! I'm confused. Is this going to be first time we see Rey and Kylo interact in TLJ timeline even though marketing is hiding their interaction? Not that toy company product text would be spoilers, but still interesting in the character descriptions. 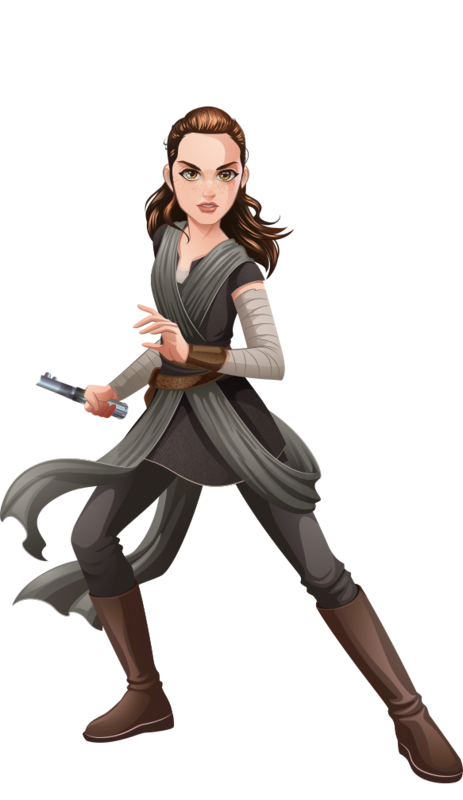 Rey is brave, loyal to her friends, and stands up for what she believes in (as an alumna of Girl Scouts, get that girl some merit badges!) whereas Kylo has betrayed his friends and family in pursuit of power. Like maybe Rey makes a new friend in the next movie which puts her to the test because she's loyal to her friends and always tries to do the right thing? Meanwhile we have somebody else who's in bad need of making up for his bad choices which hurt people close to him and whose priorities are for the wrong things. These are cartoons for kids about 'everyday heroism,' so be curious to see what they show for him if he's being shown as the Goofus out of that duo. @snufkin wrote: Not that toy company product text would be spoilers, but still interesting in the character descriptions. 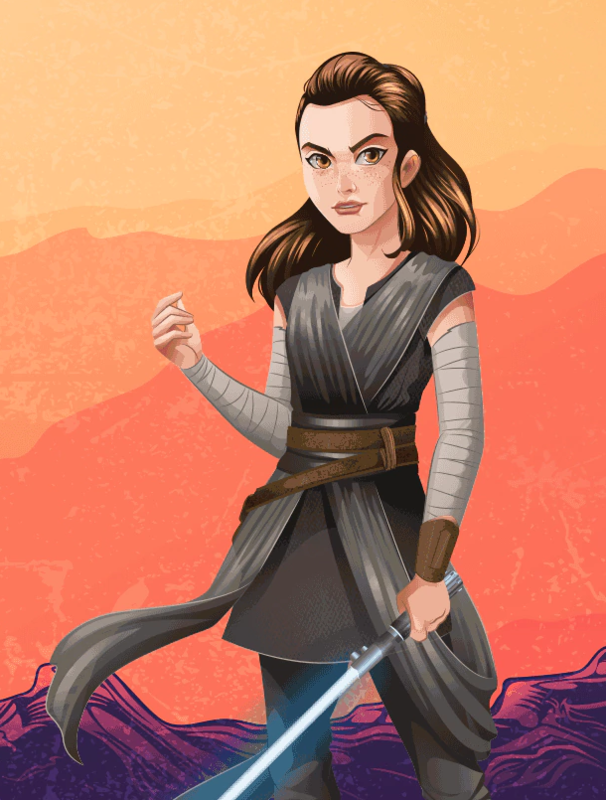 Rey is brave, loyal to her friends, and stands up for what she believes in (as an alumna of Girl Scouts, get that girl some merit badges!) whereas Kylo has betrayed his friends and family in pursuit of power. Like maybe Rey makes a new friend in the next movie and that friendship will put her to the test because she's always loyal and does the right thing? Meanwhile we have somebody else who's in bad need of making up for his bad choices which hurt people close to him and whose priorities are for the wrong things. These are cartoons for kids about 'everyday heroism,' so be curious to see what they show for him if he's being shown as the Goofus out of that duo. I know we've seen variations on "pow-ah" being Kylo Ren's main motivation in a few places (I think Pablo's Visual Guide to TFA was one? ), but that still just doesn't ring true at all to me with what we saw of the character in TFA or with what we've seen in the TLJ marketing so far. Also, I can't imagine they'd have any real TLJ spoilers in a Forces of Destiny cartoon. 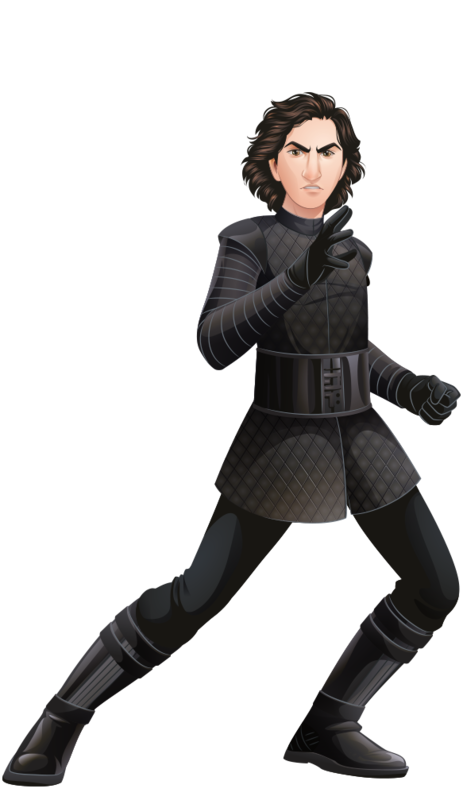 I know that we're getting the second wave of cartoons in October, so maybe the Rey-Kylo one will be in a post-TLJ wave?